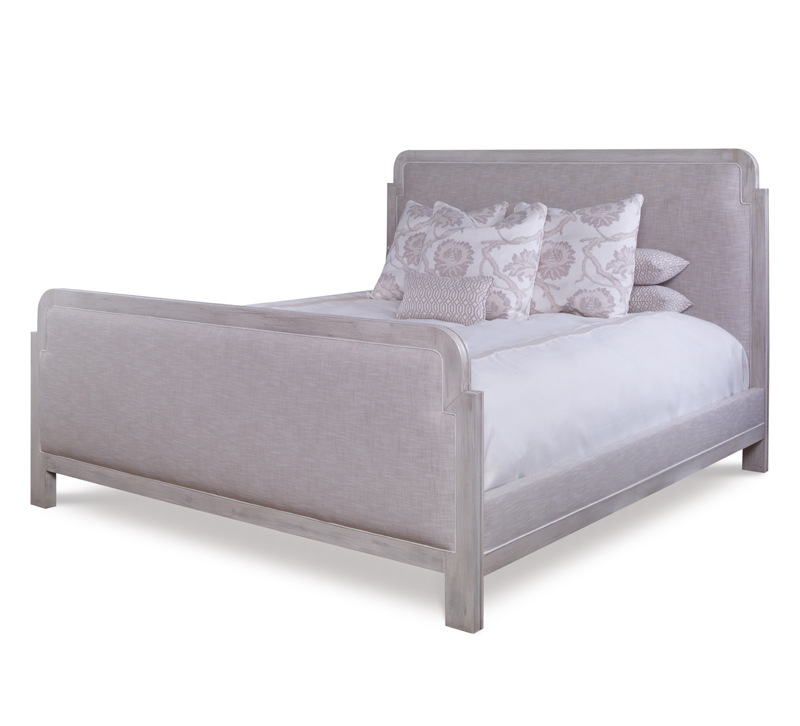 Structural yet soft, the architectural lines of the Cameron bed’s notched frame are balanced by expansive, inset upholstered panels. Available in all standard bed widths, Chaddock Home's Cameron is ideal for personalizing in various finishes, fabrics and leathers. Available in Oak or Maple and customization is possible.